The three houses on Vicar Street in Kilkenny. 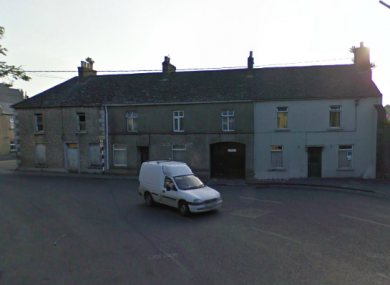 THE EU DIRECTORATE General for the Environment has said that it will investigate plans by Kilkenny County Council to demolish houses in the city’s Vicar Street, to make way for a new roadway. A local group has said that medieval remains – a gable wall and a shouldered chimney – at one of the 19th century houses should be protected by the council. MEP Nessa Childers subsequently wrote to the commissioner in support of a formal complaint that was made to the council about the plans to demolish the ‘heritage houses’. The complaint stated that the proposed demolition of 20-22 Vicar Street, to make way for a proposed Central Access Scheme, could be in breach of the EU Directive on Environmental Impact Assessments. In a statement, the council said that investigations by consultant archaeologists are continuing on the gable wall but stressed that “there is not sufficient evidence” to definitively date it yet. “Substantial portions of the wall are modern, and the architectural building survey and archaeological investigations currently underway will inform this process,” the council said. Email “EU to investigate Kilkenny plans to demolish 'heritage houses' for new roadway”. Feedback on “EU to investigate Kilkenny plans to demolish 'heritage houses' for new roadway”.